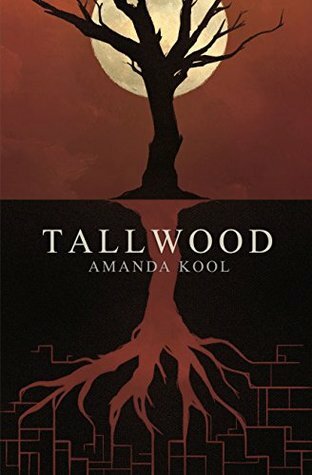 Post-apocalyptic fiction has been very popular recently, and Tallwood, by Amanda Kool, is a new edition to the genre. In its setup, the novel offers us a new take on an old story but ultimately leaves the reader wondering what all the fuss was about. Tallwood is based on the premise that, at some point in the not-too-distant future, beings from another place will come to Earth. They are death incarnate, attacking and killing every human they can find. Earth’s governments are overwhelmed. A few humans survive by going underground, or by populating bunkers, old dams, etc. The story takes place 160 years into this new paradigm. The novel starts with some heavy world-building, during which we are introduced to a bewildering array of characters. Unfortunately, these characters are not distinctly drawn enough to stand apart from each other, and they begin to blur together. For example, the heroes don’t seem to grow all that much. Each seems to represent a stock emotion, and none of them change over time. At first it seems like the material is for Young Adults, as no characters are over twenty-five. That changes later, but only in the sense that older characters are introduced. The themes and scope of the novel (if it can be said to have any) remain the same. We are introduced to the aliens (“Johns”) through the eyes of our cast, and the author uses this device to give us only limited information about them, such as the characters themselves would know. This is completely at odds with the abundance of details the novel begins with. The early part of the novel is heavy on pseudo religion. Johns are angels, in the Old Testament wrathful way, but apart from the pre-plot info dump they become faceless monsters quite quickly. This is the novel’s chief failing. The concept of angels begets the concepts of God, but neither of them are mentioned nor seen. Old Testament angels communicated with man. The Johns do not. They are pure killing machines, gender-free and with only one basic instinct: to kill man. Not only is this unrealistic, but the same generalisation is at the root of racism, and it is distressing to see this concept still being used in fiction in 2016. Its use here seems to be to allow our heroes to kill large numbers of the Johns without looking like mass-murderers, and to avoid having to explain any complex motives on the part of the Johns. The novel, then, feels lightweight and, when coupled with a very light plot and several important contradictions, ultimately unsatisfying. In the second half of the book, the Johns seem to take a back seat as our characters now must deal with a newly discovered serial killer, and the consequences that flow from that. As a result, many of the things we learned in the first half of the book are forgotten or ignored. For the first half of the book no one could walk above ground without first taking major precautions against the Johns, and, even then, they had a high mortality rate. In the second half of the story, we see the mass migration of an entire city with few, if any, ill-effects. At the start of the novel even a single John is incredibly hard to avoid and almost impossible to kill, but by the end they are being dispatched with ease. The Johns are sexless and have no children, until late in the novel it is revealed that they can breed. What? Tallwood reads like a novel that requires more thought to remain internally consistent. More fleshing out of the Johns would be nice. Giving them a voice and some real, believable motivation would take them from faceless, stock set-pieces to fearsome, cunning adversaries who’s reasoning the reader could understand, even if they couldn’t agree with it. Ultimately, however, the novel does not succeed for the simple reason that nothing happens. No problems are resolved, no characters exhibit emotional growth, and, at the end of the story, the readers find themselves at the same place as where they came in. Don’t be fooled by the setting up of the Johns as the major villains into thinking this story might be about humanity finally finding a way to throw off their oppressors and emerging from their warrens to become masters of their own planet once more. Don’t make the mistake of thinking that the mystery of the Johns will be solved. In short, do not expect anything from this novel, and you won’t be disappointed. But in the end, why do we read novels at all?